Luminant, a subsidiary of Energy Future Holdings Corp. (EFH)—which owns competitive and regulated energy subsidiaries in Texas—is the largest electricity generator in Texas. To Luminant’s credit, it took the hard road of constructing solid fuel plants instead of making the default decision to build more gas-fired generation when demand for electricity rose. With its three-plant program nearing completion, Luminant’s 18,300-MW portfolio remains the best balanced of any Texas generation company: about 8,000 MW each of coal-fired and natural gas–fired capacity and the remainder supplied by its 2,300-MW Comanche Peak Nuclear Power Plant. Luminant also has 900 MW of wind capacity under contract and a public commitment to increase that number to 1,500 MW, making it the largest wind power purchaser in Texas and the nation’s fifth-largest purchaser. The type and amount of installed capacity is a good way to compare different generation companies, but so are actual generation statistics. In the Electric Reliability Council of Texas (ERCOT) market, which represents about 75% of the electricity generation in the state, 70% of the electricity delivered is fired by natural gas and only 18% by coal. Luminant, on the other hand, used coal to fuel 67% of the megawatt-hours it generated in 2009. Next was nuclear (29%). Gas-fired generation (4%) filled in the gaps. The stats clearly show that Luminant has a long history of using solid fuels and running its plants with high capacity factors. In addition, its plant operating staff are experts at squeezing low-cost electricity from lignite, a difficult coal to process and burn efficiently. 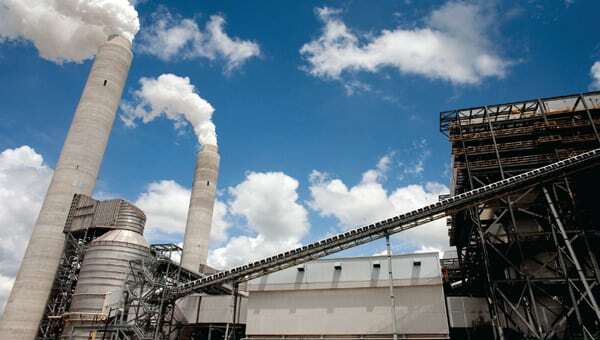 In 2005, when Luminant (then TXU Power, a subsidiary of TXU Corp.) determined that additional generation was needed to meet expected load growth, it was only natural that the company would turn again to lignite. You may recall TXU’s ill-fated plans to construct 11 new coal-fired units in 2006: Those plans immediately met a storm of opposition. 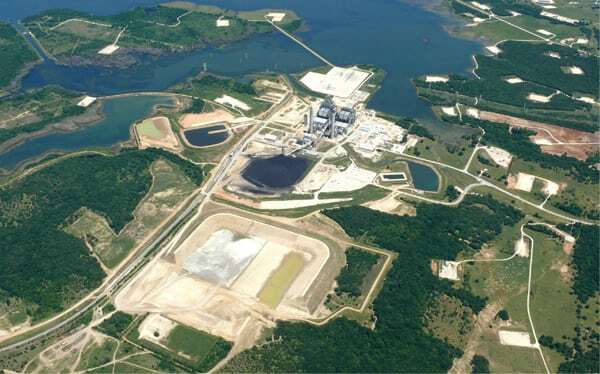 After EFH, a consortium of private equity investors, purchased TXU for $45 billion in October 2007, it quickly scaled back the 11-plant program to a more palatable three-plant program that included Sandow 5 (completed September 2009) and the two units at Oak Grove (“substantial completion” December 2009 and June 2010). The cost of these three plants is reported at $3.25 billion. The other smart move EFH made was striking a deal with the Environmental Defense Fund and the Natural Resources Defense Council to put their stamps of approval on the three-plant deal. Later, in 2008, a similar arrangement was reached with the Sierra Club on mercury emission reductions to avoid costly litigation. These deals recognized and followed the company’s voluntary commitment to offset more than 100% of nitrogen oxide (NOx), sulfur dioxide (SO2), and mercury (Hg) emissions from the new plants by making reductions at its existing plants when the air permits for Oak Grove were applied for in July 2005. By the end of this year, EFH will have spent $1 billion to make that promise a reality. In fact, the entire coal fleet’s emissions were reduced by 20% below 2005 levels. The two 800-MW Oak Grove units (Figure 1), located in Robertson County about 130 miles north of Houston near Franklin, will have reached commercial service by the time you read this article. However, this project inherited most of its personality from two separate projects that began life more than 35 years ago. 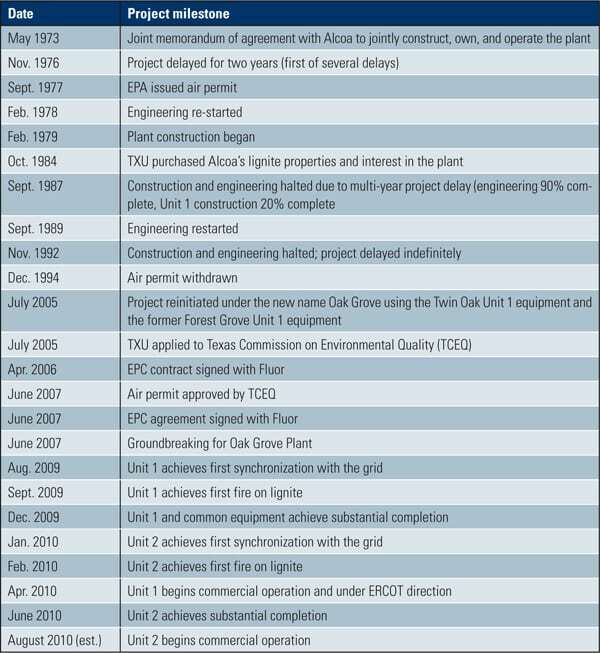 In the mid-1970s, TXU had approved construction of two lignite-fired power plants, called Forest Grove and Twin Oaks, in different parts of Texas (Table 1). TXU obtained all the necessary permits to construct both plants (each unit nominally rated at 800 MW net, 870 MW gross) and ordered much of the engineered equipment. A sudden drop in electricity demand reduced the immediate need for new generation, and the projects were deferred. The projects were started and delayed several times over the years until the air permits were withdrawn for both projects in December 1994. Some of the expensive, long-lead equipment had already been delivered to the job sites in the late 1970s. At Twin Oaks, where the boiler island was supplied by Combustion Engineering (now Alstom Power), some of the plant’s concrete infrastructure had been installed and the boiler structural steel had been started for Unit 1 before the project was officially suspended. When the project was suspended, all of the delivered equipment for two units at Twin Oaks was carefully preserved, laid out in neat rows on the site, and began three decades of long-term storage. At one point, Twin Oak’s Unit 2 equipment was relocated at another TXU facility. Forest Grove, a single-unit lignite-fired plant, suffered the same fate, although Babcock and Wilcox (B&W) supplied its boiler island. By the mid-2000s, increasing electricity demand gave Luminant the opportunity to resurrect the two mothballed supercritical plants. Luminant wisely selected the Twin Oaks site to leverage the already-completed site work and renamed it Oak Grove (presumably because the twin oak trees had grown into a grove over the intervening 30 years). The equipment stored on site retained its Unit 1 designation. Equipment in long-term storage at Forest Grove was relocated to the Oak Grove site and redesignated as Unit 2 (Figure 2 and Table 2). 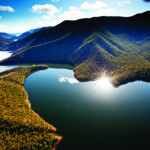 New air emission permits were applied for in July 2005 and approved in June 2007. Plant Director Clifford Watson, PE, emphasized that permitting and timely constuction of the plant was possible in large measure due to the strong support of local communities, including the cities of Franklin, Bremond, and Calvert. The Twin Oaks plant morphed into the Oak Grove plant because it was a “structurally advantaged asset.” For example, the site construction completed 30 years earlier included partial erection of the Unit 1 boiler structure (Figure 3) and construction of the 2,330-acre cooling lake (Twin Oaks Reservoir) with a completed intake structure suitable for two plants. The 345-kV transmission switching station also was partially completed and located within the 4,230-acre plant property boundary. Another decided advantage of this site was its proximity to the Luminant-owned Kosse Mine. Located only about 15 miles away, the mine’s 40,000-acre site has lignite reserves to fuel the two-unit plant for more than 40 years. Fluor is Luminant’s alliance contractor for plant maintenance across the fleet. For more than 25 years, Fluor has provided ongoing engineering, procurement, construction, and maintenance services to Luminant and the former TXU Power. During that time, Fluor employees have worked more than 50 million hours across numerous Luminant sites throughout Texas. 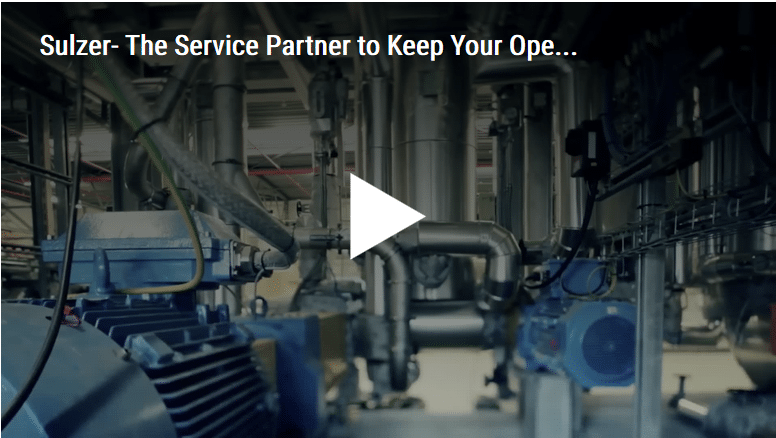 As part of that alliance, Fluor was years ago tasked to properly preserve and maintain the many plant components, including steam turbines, generators, and boiler pressure parts that had been procured years earlier. That long-term relationship with Fluor was fortuitous given that Fluor was later selected as the engineering-procurement-construction (EPC) contractor for Oak Grove (Table 3). The first step for the Luminant-Fluor Oak Grove team was to devise a plan to build the two-unit plant starting with only a set of drawings and specifications prepared prior to the birth of many team members and using the plant components in long-term storage. Luminant began the process by contracting with the suppliers of the turbines (GE), Unit 1 boiler (Alstom), and Unit 2 boiler (B&W) to determine the work required for reuse and later assigned these contracts to Fluor as part of the EPC agreement. Another constraint on the project design: Regardless of when the parts were purchased, the new plant had to meet modern plant codes, standards, and air emissions regulations. The team agreed on a two-phase contracting approach. The first phase began with an “open book” contract period of seven months during which Fluor performed its due diligence on the erector set of parts, design drawings and specifications, plus what had been constructed on site 30 year earlier. At the conclusion of the due diligence period, Fluor was to report on the parts and structures that could be reused or modified, those that must be demolished or discarded, and its plan for specifying and constructing the two-unit plant. Luminant and Fluor began the due diligence period by confirming the inventory of parts and assessing their condition using an assortment of nondestructive evaluation testing and inspection methods. In some cases, equipment was returned to the vendor (or its successors) for overhaul or upgrading to modern standards. Sometimes the originally supplied equipment, though still in good working condition, was inappropriate for the new plant design. A good example was the induced draft (ID) fans. Adding several new air quality control system (AQCS) components required upgraded fans to overcome the increased pressure losses. Another example was the partially completed boiler support structure that had been exposed to the elements for 30 years. A thorough analysis found the need for additional steel plates to meet current structural codes and standards, particularly for wind loading (Figure 4). Some stored components, such as the feedwater pumps and turbines, were returned to the original equipment manufacturer (OEM) for repairs or a complete overhaul. Other parts were repaired or upgraded on site. Fluor also determined that some of the concrete foundations were inadequate, so they were subsequently demolished, such as those for the ID fans and the discarded electrostatic precipitator (ESP). The second phase began with Fluor preparing its proposed EPC contract terms and conditions, based on the inspections and front-end engineering. In sum, the EPC contract required Fluor to assume responsibility for all of the mothballed parts, complete the redesign of the plant as necessary, and wrap a custom set of guarantees and warranties around the entire plant. This streamlined contracting approach required Fluor to stand in the place of the OEMs whose guarantees and warranties had expired a generation ago. Fluor and Luminant next hammered out the terms of EPC contract with the assistance of Burns & McDonnell in the role of owner’s engineer. The final contract was a more or less standard lump sum EPC contract with Luminant taking the risk on craft labor escalation. Luminant’s Von Thompson, vice president of major projects and responsible for the Oak Grove project, noted that this two-phase approach to developing the final EPC contract worked well for both Fluor and Luminant. As evidence, he pointed to change orders totaling less than 0.5% at the close of the project. Thompson also pointed out another measure of the project’s success: Unit 1 was built in only 30 months and Unit 2 in 35 months after notice to proceed was received from Luminant. Four primary teams contributed to the success of the project: Luminant Construction (responsible for developing and administering the EPC contract), Luminant Operations (responsible for hiring and training of plant staff and providing workforce for commissioning), Fluor Construction (responsible for plant construction activities), and Fluor Commissioning (responsible for commissioning equipment to meet contract guarantees). With the necessary construction permits and a well-defined EPC contract in hand, Luminant broke ground on the 1,600-MW Oak Grove Power Plant on June 14, 2007. Oak Grove’s new air emissions permit required Fluor to select an AQCS that complied with best available control technology for controlling emissions when burning lignite. To do so, Luminant and Fluor upgraded the existing supercritical boiler furnaces with low-NOx burners and overfire air ports and then added a selective catalytic reduction (SCR) system to the steam generator. Oak Grove is the first plant in the U.S. that has installed SCR on a 100% lignite-burning power plant. The boiler upgrade work was actually two separate projects, as the two supercritical steam generators use remarkably different design philosophies: Alstom Power uses a tilting corner-fired design whereas B&W uses wall-fired burners. The AQCS systems were essentially identical between the plants, such as the wet flue gas desulfurization system. Particulates were removed by an ESP in the original design, but that equipment was discarded and replaced with a modern baghouse equipped with tens of thousands of fabric filter bags, each more than 30 feet long because of the plant’s very tight particulate limits. 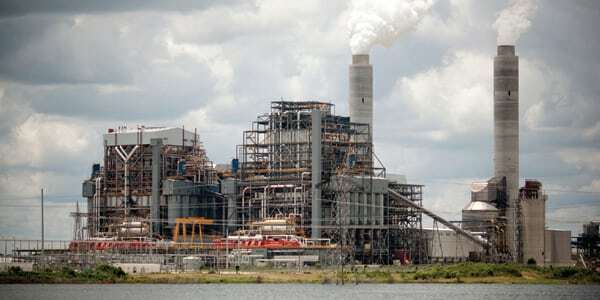 An activated carbon injection (ACI) system is in place in accordance with Luminant’s fleetwide program to reduce mercury emissions from its coal-fired plants, another first for a lignite-fired plant in the U.S. (Figure 5). Upgraded boilers meant upgraded controls and instrumentation, another replicated design task. Parallel projects were required given the significant differences in boiler control logic philosophy, including two separate factory acceptance tests. Watson noted that although the operator interface in the two units’ control rooms appear identical, there are many nuances that require separate operator training on each unit. Another modern development is the plant’s suite of continuous air emissions monitors that measure and log NOx, SO2, ammonia slip, CO, and particulate matter. A continuous mercury monitor also was added to each unit to monitor performance of the ACI system. Watson noted that the care and calibration of these monitoring system keeps several technicians busy full time. When the original units were designed in the mid-1970s, analog and pneumatic controls were customary. Today, advanced digital control systems (DCS) and electronic sensors are de rigueur, and Fluor didn’t disappoint. Fluor’s controls engineers are well known for pushing the envelope in power plant digital system design. There isn’t space in this article to discuss the details of the Oak Grove controls design, but suffice it to say that Fluor leveraged the lessons learned on TS Power to further push the digital controls envelope at Oak Grove, especially in the areas of using digital controls in the balance of plant and the electrical switchgear, down to the 480V motor control centers. Foxboro, Invensys Operations Management supplied the DCS equipment (Figure 6). 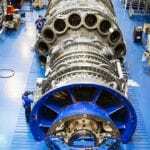 General Electric’s Mark VI system was used to control the steam turbines, also supplied by GE (Figure 7). The process of keeping the plant fed with lignite begins with Luminant’s Kosse Mine. Each of two trains, configured with 36 railcars, brings a 4,000-ton load of lignite from the mine a total of seven to eight times a day. When a train arrives, the bottom dump railcar can drop its load in a rapid discharge rail unloading facility in about 55 minutes. Roberts & Schaefer Co., through a turnkey contract from Fluor, supplied the coal-handling system, starting with the rail car unloading hoppers. Two 1,500 ton/hr (tph) belts transport crushed coal to a transfer house, where the coal stream is split to supply the two tripper houses on each boiler. Each tripper house system has four reverse shuttle conveyors, each 600 tph, serving four sets of lignite bunkers with dust collection at transfer points and lignite silos. The trippers supply the lignite bunkers on the boiler structure. The lignite bunkers are sized for about six to eight hours of operation at full load. This one-way, dedicated railroad is unremarkable in the power industry. However, the plant’s “push-pull” connection between the plant and the lignite deliveries—the mine pushes the fuel to the plant and the plant pulls its needs directly from each delivery—is unique. Either the next train arrives and unloads within eight hours or the plant runs short of fuel and must turn to its emergency stockpile. In essence, the plant’s coal pile was moved from the plant to the mine with deliveries made “just in time” for the plant’s fuel needs. The typical coal-fired plant is far removed from its coal suppliers, so it usually keeps 60 days’ supply or more on hand, anticipating fuel delivery disruptions such as those caused by a failed joint line track from the Powder River Basin in late 2004. Remarkably small, Oak Grove’s emergency fuel storage stockpile will keep the plant running for only about 15 days and is usually tapped only if fuel deliveries are interrupted. In fact, the fuel pile cannot be accessed with automated reclaim equipment—because there isn’t any. Oak Grove’s fuel pile was designed without a stacker or reclaimer system, and recovery of the stored coal is only possible using a front-end loader to manually move lignite to the fuel conveyor. At the height of the project, Fluor’s direct-hired construction labor force peaked at nearly 2,400 workers who contributed about 11 million hours to the project. Fluor support staff peaked at around 220; of that total, about 175 were located in Fluor’s home office in Greenville, S.C.
Project leaders also exercised Fluor’s global execution center in New Delhi, India, for about 20% of the engineering work, principally for the design functions such as piping layout, electrical connections, and structural design. Fluor also leveraged its global procurement network to purchase quality products such as the chimney, high-alloy pipe, and emissions control systems at competitive prices and with shorter delivery schedules. Additionally, Fluor worked with state and local government representatives and community and technical colleges throughout Texas to attract, recruit, and hire local talent to meet the project’s construction resource requirements. Watson joined the project shortly after the final air emissions permit was received (June 2007) and was promoted to plant director in late 2009. One of the first tasks the plant management team had was building the plant operations team from scratch; only a handful of the staff transferred from other Luminant facilities. Over the following months, the staff slowly began to fuse together as a team—a challenge to be sure, given that their experience ranged from first job out of high school to highly experienced operators. Watson said that building a plant operations team that was able to successfully commission Oak Grove was one of his team’s most important accomplishments on the project. The Luminant-employed full-time staff of Oak Grove is currently 148 (excluding on-site corporate support personnel) plus 38 contractors from Fluor who are responsible for heavy and mid-level maintenance work at the plant. The plant staff consists of employee groups in several different classifications. “Equipment specialists” and “apprentices” are responsible for operating equipment and performing light maintenance duties, such as changing filters, lubrication replacement, and electrical troubleshooting up to 480V in the main plant. Equipment specialists are bargaining unit (BU) employees and members of IBEW Local 2337. “Material specialists” and temporary support personnel (TSP) employees (also part of the BU) are responsible for keeping the lignite moving, starting with when the lignite is dumped from the bottom of the rail cars and ending when it enters the silos. Once the lignite enters the silos, the equipment specialists assume responsibility for its handling. Material specialists also perform maintenance functions in their area of responsibility. Plant operators are also part of the BU and are stationed in the control room. 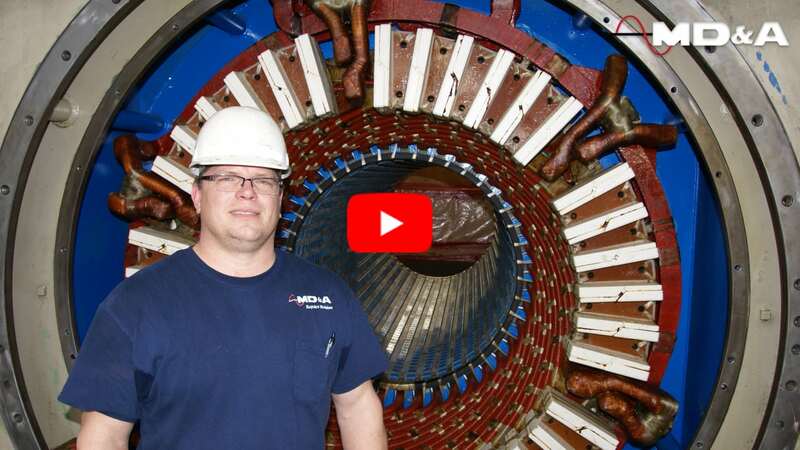 Other than a small group of equipment specialists with electrical knowledge who normally work a weekday, 8-hour shift, equipment specialists, apprentices, material specialists, TSP workers, and others assigned to shift work use the 12-hour shift schedule over a 28-day work rotation schedule. The remainder of the plant staff are non-BU employees and include technicians (chemical, instrumentation and controls, environmental, reliability, and planning), members of the planning and scheduling group, shift supervisors, contract coordination, site engineering, and plant management. The Fluor onsite staff includes journeyman electricians, boilermakers, certified welders, millwrights, and other skilled trades. One very significant advantage enjoyed by Luminant with its Fluor alliance relationship comes during major overhauls or during a major forced outage. Fluor can quickly pull together just the right combination of journeyman skills from across the entire Luminant fleet and from other outside resources and focus that manpower and expertise on quickly fixing problems and rapidly returning a unit to operation. Another consequence of starting with a relatively inexperienced workforce at a “greenfield” plant was the need to develop comprehensive operating and maintenance programs geared to the staff’s level of experience. The training regimen for the majority of the newly hired Luminant employees working at Oak Grove began with attending the 18-week Basic Skills Tool Belt training program at the Luminant Academy in Tyler, Texas. The syllabus for this course included hands-on instruction in simulation equipment, industrial controls, pumps, piping, safety training, hydraulics, and rigging systems. With basic training completed, workers returned to the plant for a series of courses on particular equipment and systems presented by vendors, followed by more off-site training led by the Flour commissioning team. With their seatwork behind them, operators next began the hands-on commissioning of plant equipment under the direction of the Fluor commissioning team. Training continues through an apprenticeship training program that includes completion of preplanned curriculum coursework off-site at the Luminant Academy and completion/sign-off of predefined work station–related “job performance measures” at the plant. The maintenance program began with the tedious but necessary preparation of equipment maintenance procedures and entering volumes of data into equipment databases. While the equipment specialists and operators were attending training, both away and on the job, contractors were used to extract information from the vendor procedures and maintenance manuals to build the maintenance database. The level of detail of these operating and maintenance procedures was guided by those used at Comanche Peak, such as photos embedded in the procedures illustrating each maintenance step, the proper tools required, and the final inspection requirements. As we go to press, both Oak Grove units are online and operating. 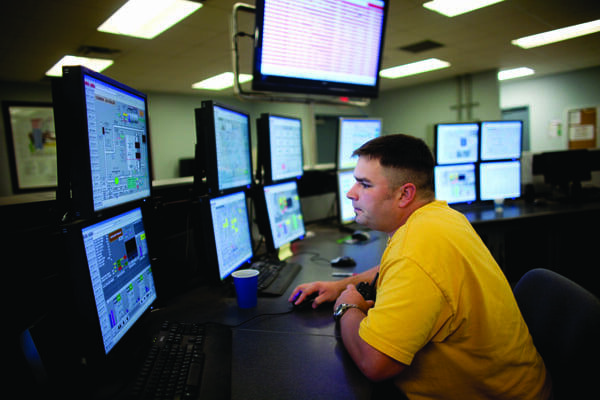 Unit 1 achieved commercial operation in April and has since been under ERCOT’s dispatch control. Unit 2 achieved “substantial completion” in early June, meaning that Fluor has demonstrated that the plant has met its performance guarantees and operation of the equipment transferred to Luminant’s care, custody, and control. Boiler and AQCS system tuning continue, along with Fluor’s ticking off items on the final punch list. Oak Grove Unit 2 is moving into the final online testing phase, which, when completed, will make the unit fully available for reliability dispatch by ERCOT. That testing should be completed in late August.